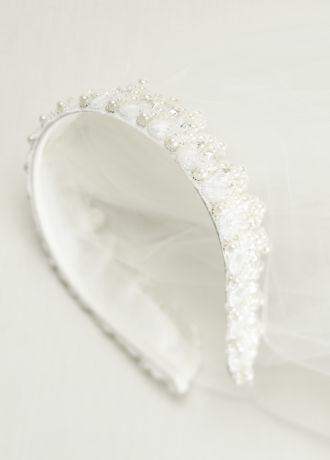 Add a regal and elegant touch to your wedding dress with this gorgeous pearl beaded headband veil! Two tier cathedral length veil features stunning pearl beaded headband detail. Top tier measures 38" long. Bottom tier measures 120" long.